Do you know the dangers you face as a medical clinic? As we become more effective at fulfilling our mission, we attract more scrutiny. The days of flying under the radar are gone. Protecting assets – human, financial and physical – is a primary function of the board of directors, who usually delegate that task to the ED/CEO. We’ve come so far that a lot more is at risk than in the old days of distributing maternity clothes and diapers. Most of the risks involved with providing effective medical services can be identified and addressed. We have found that a systematic approach to risk management is prudent, protective of the organization and its board of directors, an essential element of patient care, and critical for staff safety. 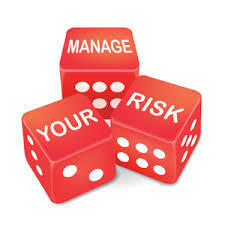 An organizational risk management plan is required to meet accreditation standards. But how do you build one that actually works for your organization? When effective risk management is in place, you and your staff are free to do your jobs instead of scrambling to put out fires. Your time, talent and treasures are protected. Individual 1.5 hour webinars or an all day onsite training, if preferred (could be in conjunction with Board Governance training). Raise the level of professionalism of the organization by proactively identifying threats the organization faces and planning ways to mitigate those threats. Raise the awareness of ED/CEO, nurse, staff, and Board of policies, procedures, standards, and practices that can protect the organization. Teach you how to think from a “risk management” perspective so you are equipped to protect your organization. Build a Risk Management plan that dynamically addresses individual organizational needs with best practices solutions. Click here for details in printable pdf.